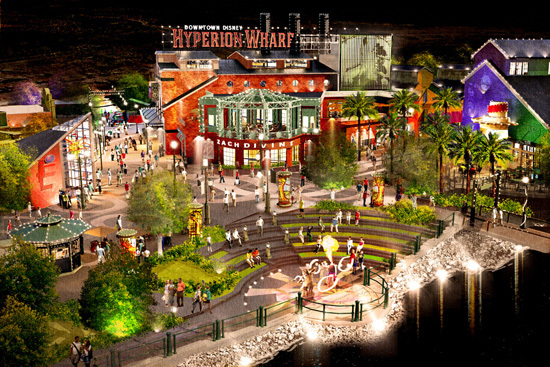 Disney announced some new plans for Hyperion Wharf over at Downtown Disney (what is currently the gutted Pleasure Island). According to the Disney Parks Blog, it will be "a nostalgic yet modern take on an early 20th century port city and amusement pier. By day, stylish boutiques and innovative restaurants will draw you in and by night, thousands of lights will transform the area into an electric wonderland." But will there be any place to get a Kungaloosh?